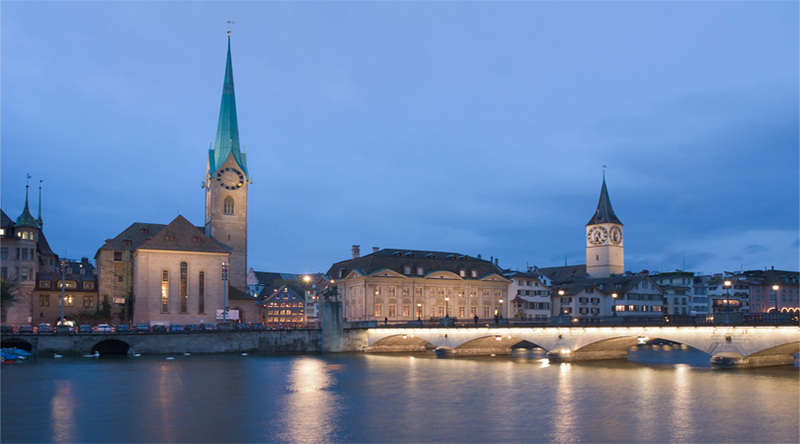 Worldwide popular for its banks, Zurich is the main financial center of Switzerland. This city has the largest and busiest airport as well as railway station in the nation. Being clean and efficient, this place is ranked having the highest quality of life anywhere in the world. 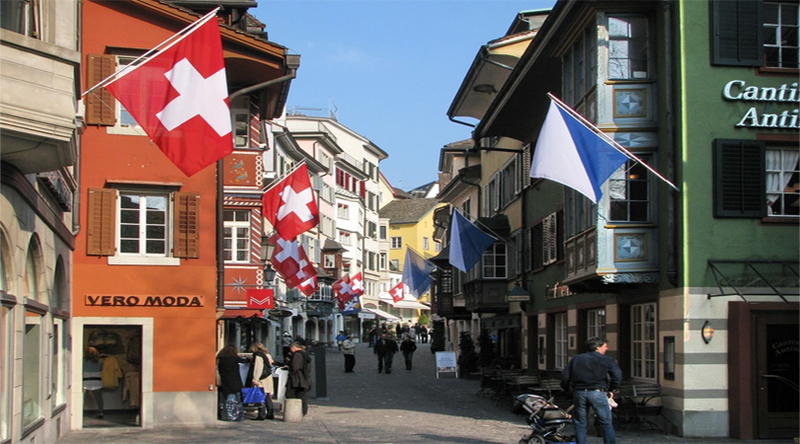 Zurich offers excellent has a blend to allure variety of many different travelers. 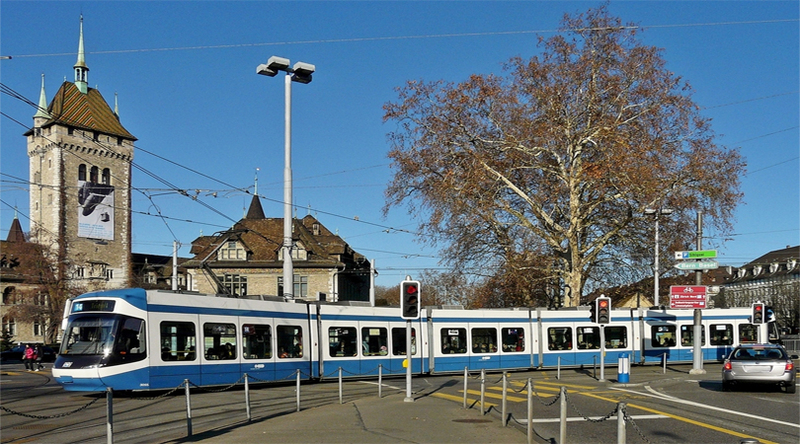 If it is your first trip to Zurich and you are wondering which places to visit, then read on. 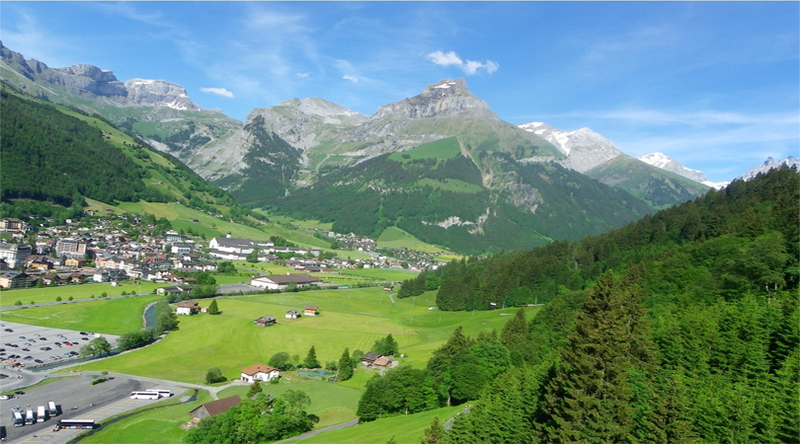 Lake Zurich is a large, glaciated lake formed by glaciers in the Alps. This lake spread from Zurich to various other smaller towns that include, Kusnacht and Thalwil. The lake is very clean and home to various different swimming areas and beaches. The Boat lovers will get to find a large number of companies providing passenger ship services, which gives tours of the lake. Others can take ferry to some of the other towns on the lake. Travelers get to discover large manors and beautiful islands. Visit EaseMyTrip.com for best deal on Switzerland tour package. The Zurich Altstadt comprises the area of the historic town which was here prior to the twentieth century. This place boasts of an older architectural ambiance. 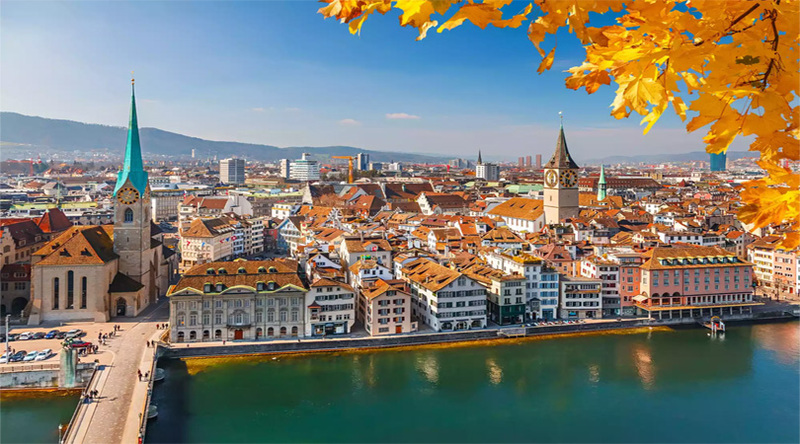 Zurich Altstadt is home to various plazas, landmarks and other popular ancient tourist attractions in Zurich including Fraumunster, Lindenhof, the New Market, St Peter’s Church and the old Medieval Rathaus quarter. Architecturally, tourists can find a perfect blend of gothic and medieval, where they can see the old ramparts of the ancient walled city. Nature lovers get an opportunity to explore the great views from mountain plateau. From here, tourists can see the expansive views of the Zurich city and adjacent lake of the same name. This mountaintop has a small hotel called “Uto Kulm” along with two towers, one is for television signal and the second is a designated lookout at a small fee to use. Tourists can reach Uetliberg either by walking trail from Triemli, Albisguetli or Albisrieden, or by rail from Zurich. The summit is an ideal starting point for hiking and camping to some of the other mountains across the chain. Popularly known as the “women’s church”, Fraumünster church is considered as one of four major churches in Zurich. This church was originally constructed in 853 by Louis for his daughter, Hildegarde to have a place to worship. It was a convent for further seven hundred years and at one point it renowned to be ruler of the city. Presently, this ages old church is open for tours and services. Some of the special features of Fraumünster include the stained glass windows, as tall as 9 meters high, and frescoes by the artist Paul Bodmer along with the huge church clock tower. Located in Zurich, the Swiss National Museum consists of a wide collection that touches every characteristic of the art of living in Switzerland and its culture, spanning from the Stone Age to the present day. The building was constructed in 1898 by Gustav Gull in the form of a French chateau. This museum has a large number of unique collections like an armory tower and huge collection of religious wooden liturgy carvings, altars and panel paintings. Here, you can also find a collection of historical Swiss coins dating back from the Middle Ages, gothic art collection and uniquely excellent museum. After a day of exploration, a major stop for tourists is to relax at the lakeside or take tour boats on Lake Zurich. Grossmünster, Bahnhofstrasse, Kunsthaus Zurich, Lindenhof and Opernhaus Zürich are some of the other must visit tourist attractions in Zurich.